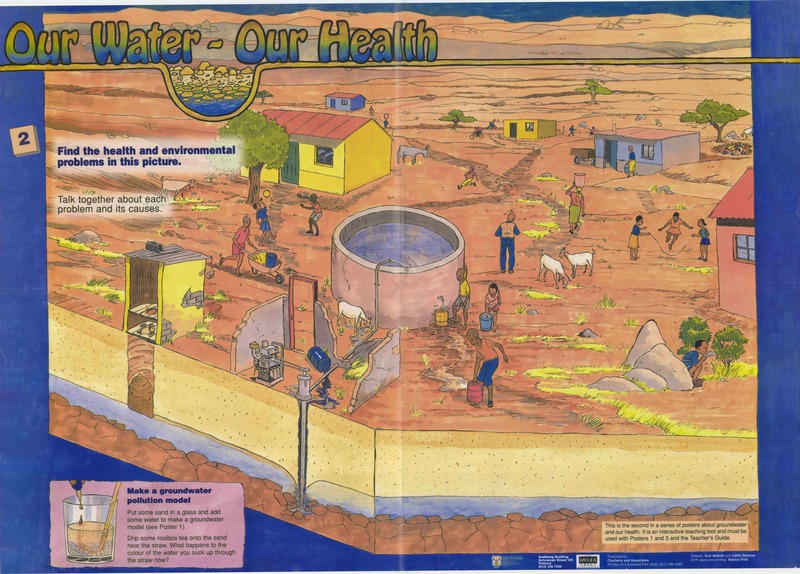 A series of posters about groundwater and our health, designed specifically for children, is available from the Department of Water and Sanitation. Poster 1 poses the question: How much do you know about groundwater? It also explains the water cycle and describes how to make a simple groundwater model. 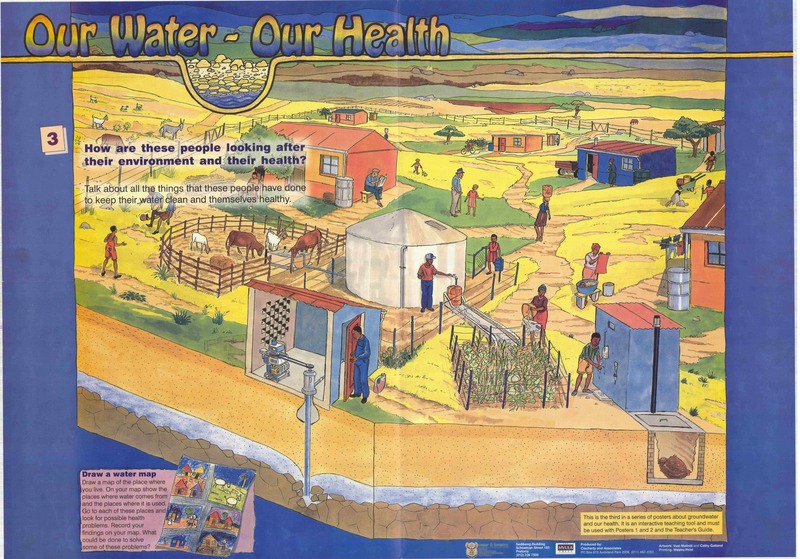 Poster 2 shows how groundwater can be polluted. Children can discuss the problems and causes shown in the poster. They are also encouraged to make a groundwater pollution model. Poster 3 asks the question: How are these people looking after their environment and their health? It shows ways to keep water clean. Children are asked to draw a map of the place where they live and to identify where water comes from and where it is used. They need to identify any health problems and suggest possible solutions. If you'd like additional educational resources on the topic of groundwater, the National Ground Water Association (NGWA) in the USA has developed a list of groundwater resources and materials for educators. 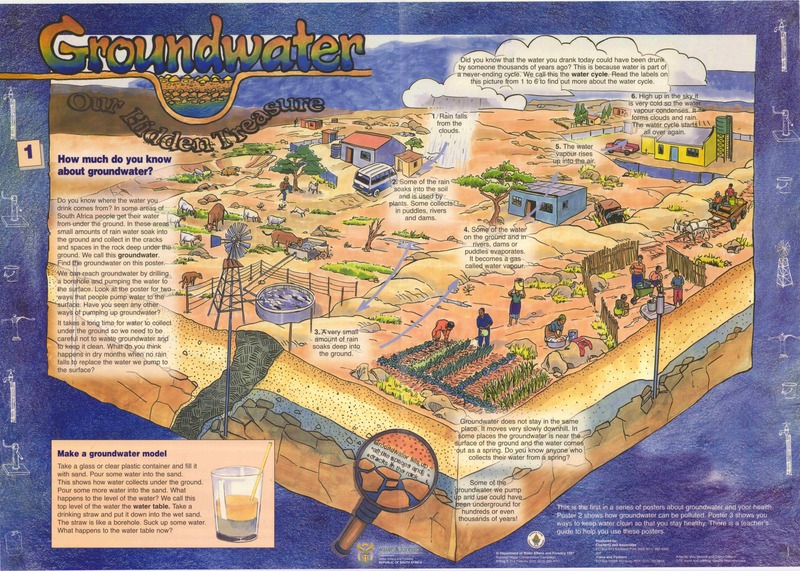 These materials will help teachers and other educators as they present lessons on groundwater.